As a result of the outstanding success of the Croatian football team at the World Cup Football Championship that was recently held in Russia, the national team turned global attention to Croatia and contributed to its huge popularity, thus motivating the whole world to learn more about Croatia. The impact of such promotion for Croatia is invaluable. During the World Football Cup, the Dubrovnik Tourist Board implemented intense on-line promotion of Dubrovnik, as one of the most attractive destinations in Croatia, in international markets, on the social media networks Facebook and Instagram, as well as on YouTube. The Dubrovnik Tourist Board took advantage of the mega popularity of Croatia in Russia to present Dubrovnik in Moscow, in order to make use of the best possible moment to introduce Dubrovnik and Croatia to the Russian market. 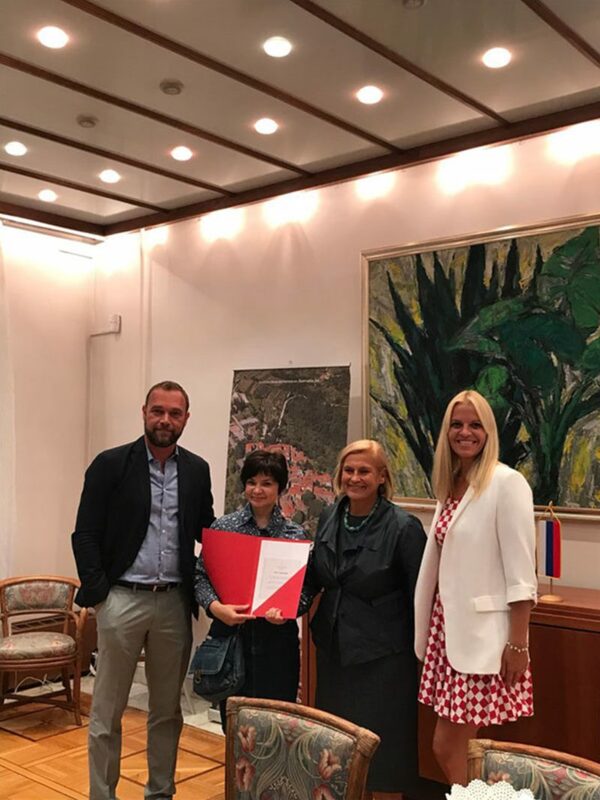 Organised by the Croatian Tourist Board's office in Moscow, the Croatian Embassy in Moscow and the Dubrovnik Tourist Board, a presentation on Dubrovnik was held at the Embassy of the Republic of Croatia in Moscow on Tuesday, August 21, 2018. At the beginning of the presentation, Rajko Ružička, Director of the Croatian Tourist Board's office in Russia, addressed the guests, simultaneously translating the presentation into Russian. On behalf of the Croatian Embassy in Moscow, the Ambassador, Maja Foretić Pećnik, welcomed the guests. Sandra Milovčević, Head of the Communication Tactics Department of the Dubrovnik Tourist Board, presented the beauty and tourist offerings of Dubrovnik, as well as all year long events, with a special emphasis on the Good Food Festival at the end of October and the Dubrovnik Winter Festival in December, to the Russian travel agencies and journalists. The workshop was attended by 40 Russian travel agencies and representatives of the Russian media. As part of the educational presentation, there was also a raffle drawing for participants, for which the Dubrovnik Sun Gardens resort provided the prize of a free three-day stay for two people. The lucky winner was Russian tourism journalist Olga Grišina. After the presentation, tourism agents and journalists enjoyed snacks and Croatian wines. Russia is a very interesting and prosperous tourist market for Croatia and Dubrovnik. In 2017, Dubrovnik was visited by 9,336 tourists, for a total of 47,754 overnight stays. From the beginning of this year till mid-August, Dubrovnik was visited by 5,499 Russian tourists, which made for 25,968 overnight stays. After the fantastic success of the Croatian national football team and the presentation of Dubrovnik in Moscow, a significant increase in the arrival of Russian tourists to Dubrovnik and Croatia is expected.